In a study on U.S. smartphone owner behavior in regards to retail commerce, comScore found that 4 in every 5 smartphone users, which represents 85.9 million U.S. users, accessed retail content on their device in July 2012. Among the most visited brands were Amazon (49.6 million visitors), eBay (32.6 million visitors) Apple (17.7 million visitors), Wal-Mart (16.3 million visitors), Target (10 million visitors) and Best Buy (7.2 million visitors). 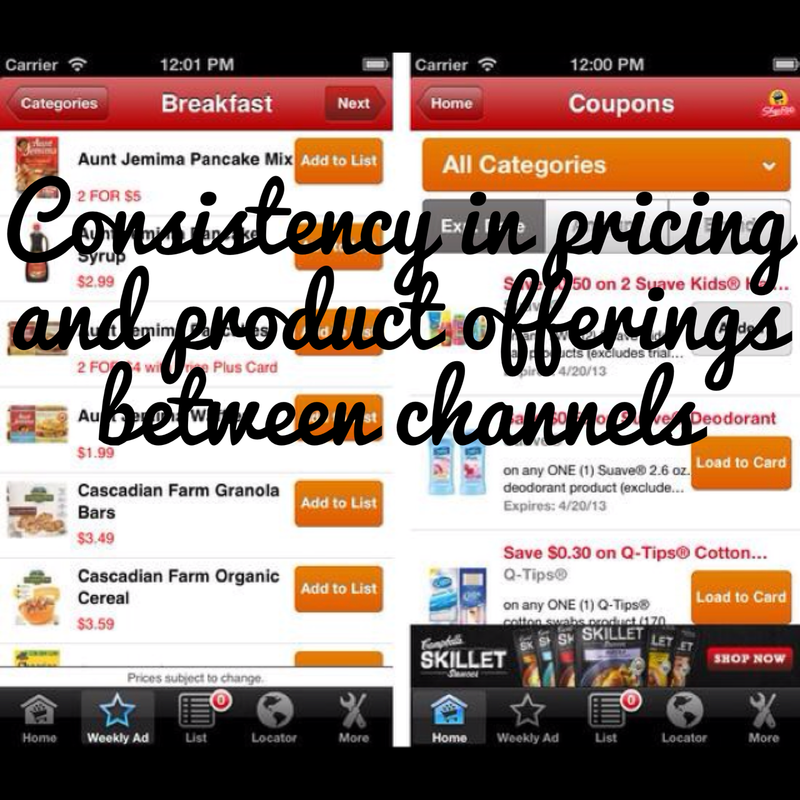 However the mobile channel isn’t suited just for the heavyweights of the retail industry, it works for smaller companies too. One example in this direction comes from Shoprite, a cooperative of 45 members who individually own and operate grocery stores under the ShopRite banner. 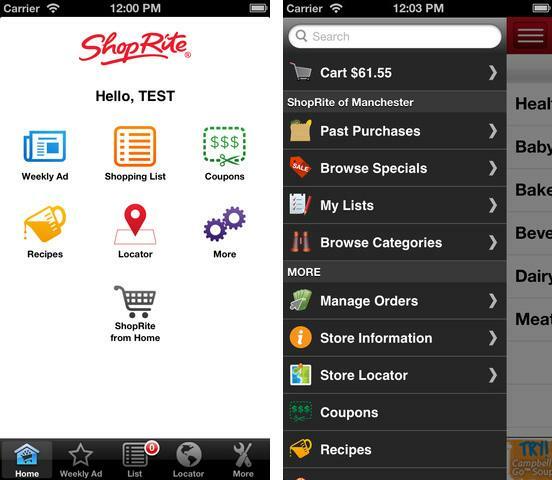 ShopRite Supermarkets for iPhone and Android allows users to browse and buy groceries from their phone, checkout weekly sales, manage a shopping list, clip coupons or discover recipes. The app also has an integrated barcode scanner, so user can scan products at home and check pricing in real time, order and set a pick up and delivery time. For those of us that can’t remember what we bought last time, and usually there’s a list of products that we need every week, the app allows to view past purchases and add them to the shopping cart. 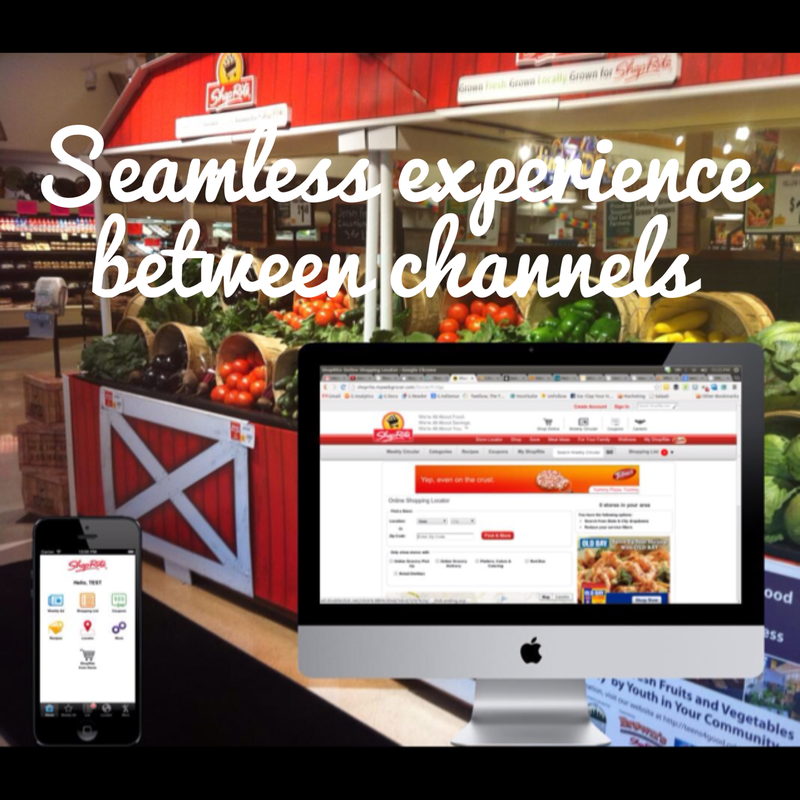 The beauty of Shoprite’s app is also that is integrated with their website, so if you start your shopping activity on your laptop, but you get an urgent call and need to step out, you can continue on your smartphone, or vise versa. Actually this is one feature that is demanded by most people that do shopping on their mobile phone. A recent survey done by Accenture on 750 consumers in the United States, revealed that half (49 percent) of consumers think the best thing retailers can do to improve the shopping experience is to have a seamless experience between in-store, online and mobile shopping channels. An overwhelming 89 percent of consumers emphasized the importance of being able to shop for products in the most convenient way at a specific time, no matter which sales channel they opt for. So retailers that are able to provide a seamless shopping experience – whether they are shopping in a store, online or through a mobile device – will gain a competitive advantage over their competitors. 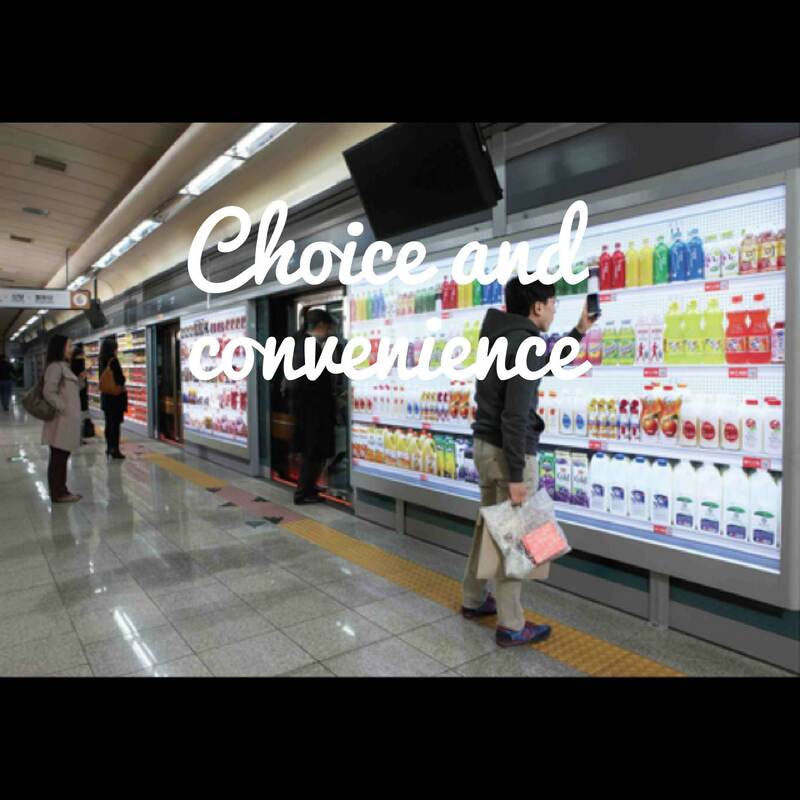 Consumers want consistency in pricing too, 73 percent of consumers expect the price to be the same as in store, and 61 percent expect a retailer’s online promotions to be the same as its in-store promotions. When looking at how things look in the field, while 73 percent offer the same promotions online as in the store, just 16 percent offer the same prices online as they do in the store. Same thing goes for products, while 43 percent of consumers expect to see the same products online and in-store, only 19 percent of retailers actually meet this demand, according to Accenture’s analysis of top retailers. Mobile apps for retail stores provide choice and convenience for their users by allowing them to pay with their debit choice of debit card, credit card or e-wallet. Through the use of NFC and QR codes, users are also using them to reap exclusive savings right at the point of sale simply by scanning with their smartphone. Another benefit is that they are able to give up carrying around different loyalty cards for a dozen retailers. According to a study from Research2guidance, in 2012, the majority of retailers made less than 5% of their total e-commerce revenue via the mobile channel. The number of those who make more than 25% with their mobile channel is almost 19%. This is good news and bad news, bad news is that the mobile opportunity is not as used as it should be and retailers must pay attention to some of the aspects mentioned above in the article, the good news is that those who do, will reap the profits. Consumers are actually vouching for the mobile channel, 73% say they have used their mobile phones in stores, 38% have used their smartphones to make purchases, while 21% of them search for coupons while in stores. 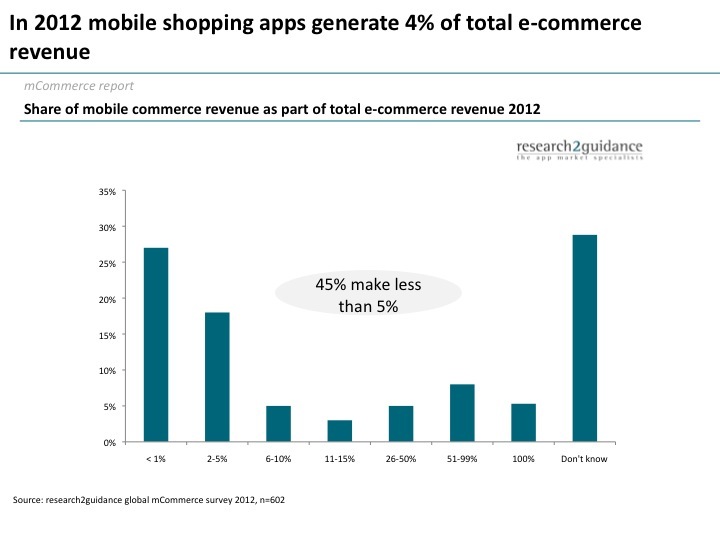 If you want to dive into more data about mobile commerce, please visit this link.